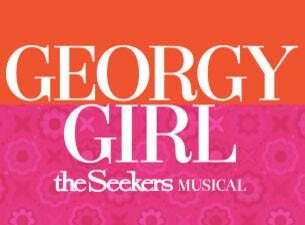 Georgy Girl is the smash hit new Aussie musical from Richard East, one of the originating producers of Mamma Mia! and Dennis Smith, producer of Dusty - the Original Pop Diva. Based on the true story of The Seekers rise to international pop stardom, this funny and moving production follows their journey to international fame, the challenges of success and the laughs along the way. Georgy Girl is "the musical Australia's been waiting for" (3AW) and features a swinging sixties soundtrack, including Glad All Over, It's Not Unusual and Downtown and the iconic hits of The Seekers; I'll Never Find Another You, The Carnival Is Over, I Am Australian and of course Georgy Girl. Experience what Smooth FM hailed as "an Aussie triumph" - arriving at the State Theatre Sydney from April 2 for 9 weeks only.